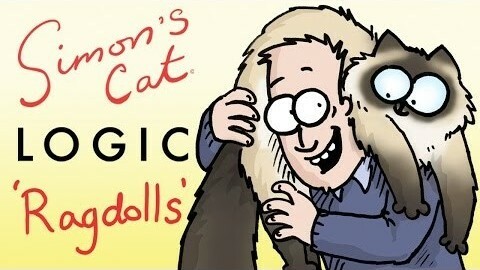 Simon’ s Cat, the adorable animated web series featuring a frisky feline, continues to be a favorite online. In this episode, Simon’ s Cat learns how lakes freeze in the winter, leaving teasingly free fish underneath the ice. Like so many popular YouTube channels, Simon’s Cat began as an accident after someone uploaded Simon’s first digital animation to YouTube, and the clip went viral. As so many other prominent YouTubers have taken part in the Draw My Life meme, Simon has stepped forward to explain the origins of his art and how Simon’s Cat became such a famous cartoon today.